Clean Air is our Business! 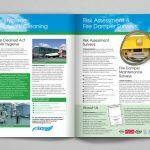 Our healthcare marketing expertise and good quality graphic design landed us the job of redesigning corporate brochures for leading air hygiene specialists, System Hygienics. 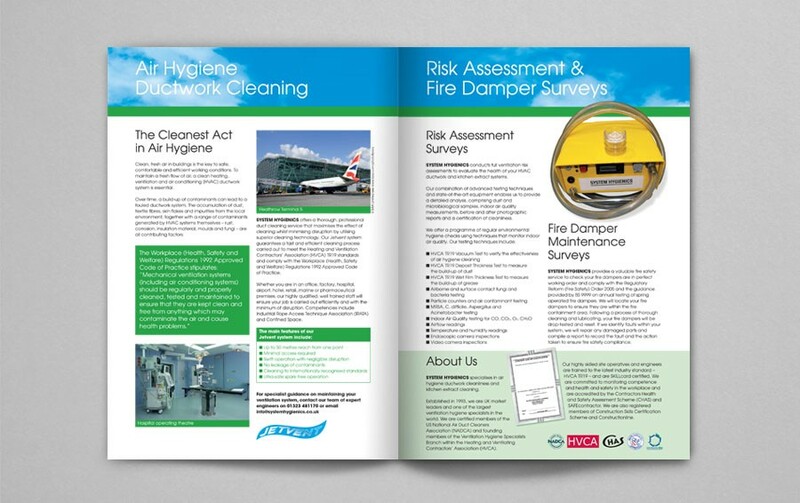 Following a brief from the client, we recommended producing two corporate brochures – a general corporate brochure designed to give an overview of System Hygienics’ portfolio of duct cleaning services and a second corporate brochure designed for the healthcare market to promote the benefits of duct cleaning for infection control in hospitals. 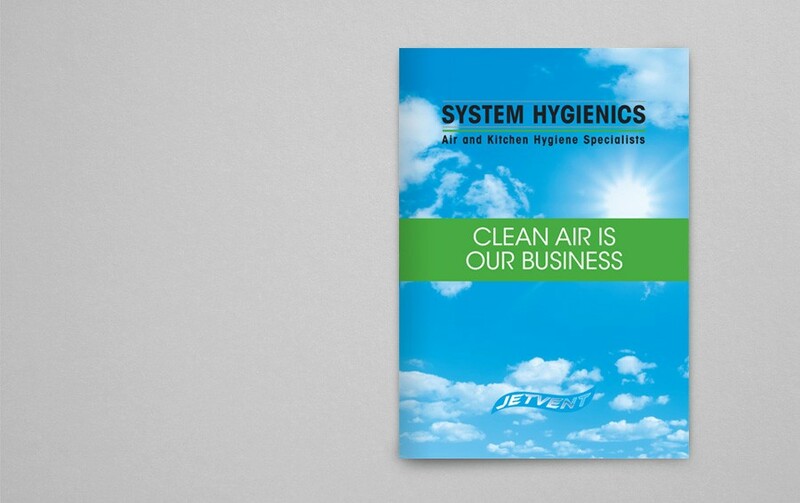 To keep the corporate brochures on brand, we adopted the sky/cloud imagery from the company’s website for the brochure cover design and came up with the strapline ‘clean air is our business’ which could be used consistently throughout future corporate communications. There is nothing more off-putting than overly-wordy corporate literature and System Hygienics’ old company brochure was very text heavy. Our experienced copywriters stripped back the content and produced clear, concise brochure copy to engage and inform the company’s customers. 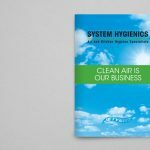 To complement the brochure artwork and copy, we sourced photos to illustrate System Hygienics’ duct cleaning services and the core industries the company serves. System Hygienics was so delighted with the brochures that they’ve now been using them for more than five years. We have the creative expertise to produce on brand brochure designs that appeal to your target audience. Call us on 01323 411044 or email us your enquiry.